If you have never really attempted to take up personal financial planning seriously, then this article is tailored just for you. The entire concept of personal financial planning has a lot of myths associated with it. As a result, most of us waste our hard-earned money making the wrong financial decisions and ignoring critical investments that haunt us later in our lives. Smart personal financial planning is a critical life skill that all of us have to learn. So let’s break five such critical financial planning myths that are standing between you and your life and financial goals. Personal financial planning is for anyone who wishes to channelize finances towards specific life goals such as a home, relaxed retired life, children’s education, health safety, and many more such goals. These goals are certainly not restricted to the upper-class section of the society. So, build your confidence and set on your financial planning journey so you know that your money is also as smart as you are. Of course, most of us are lost about how to get started. This is where you can use the expertise of a certified financial planner or a financial advisory service from India. Building your investment portfolio is definitely essential part of personal financial planning, but it’s not just that. The entire exercise helps you manage your money smartly, in terms of debt repayment, tax saving, retirement pensions, life and health insurance, asset allocation, and much more. The right financial planning gives your life goals a solid boost. You can leverage the expertise of some of the best financial planners and investment advisors in India based on your budget. With the intelligent technologies delivering the benefit of the hybrid approach of online roboadvisors and human experts, you can get the best of customized plans perfect for your life and financial goals well within your budget. Do not consider financial planning to be an overnight magic to solve all your financial problems. Financial planning is a process of aligning a set of financial plans to help you reach your long-term goals. So, it does take time to solve your issues and make you feel more financially strong and competent. 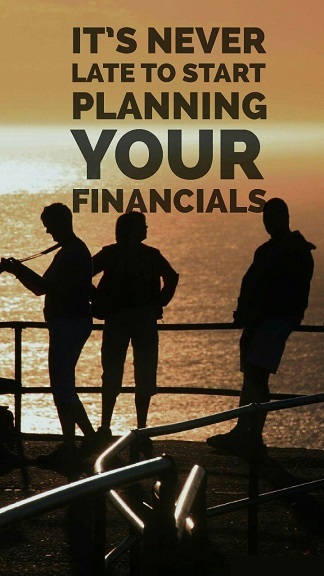 Personal financial planning makes you incorporate principles that will make you financially strong, but gradually. Do not wait for a storm in life or major changes in the form of marriage, newborn, student loan, debts to settle down to start financial planning to get you thinking about financial planning. Most of us are adept at leading a financially organized life, paying your bills on time and managing to save a considerable percentage of your earnings. But what you need is an efficient financial planning support right from your 20s. So, start planning your finances early to reap more benefits out of it. Well, I know that these pointers will be myth busters for all your apprehensions about financial planning. Financial surprises are inevitable in your life, but you can manage such chaotic situations with some timely and smart financial planning. PrognoAdvisor is your trusted online financial planning service from India, with extensive expertise in understanding your specific financial and life goals and guiding you achieve these goals with confidence. Connect with Prognoadvisor.com to understand how you can simplify the entire process of personal financial planning and meet your life goals with confidence.